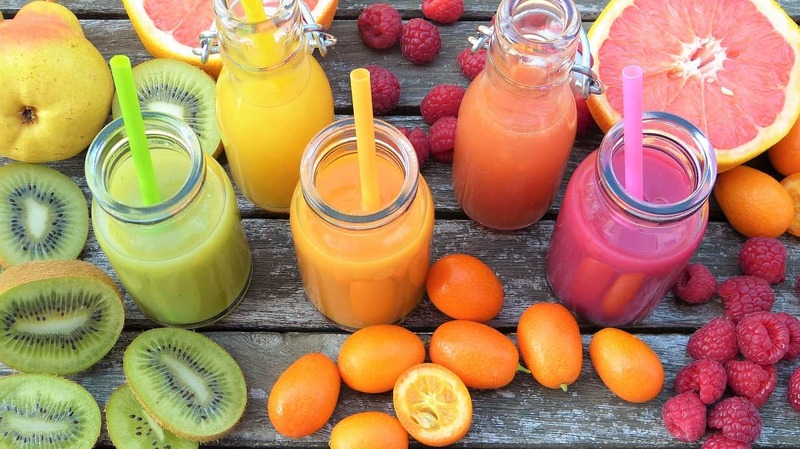 Smoothies are a delicious and colorful way to have a light, yet nutrient-dense breakfast or snack. Everybody loves them, and rightfully, because their pros are many, while their cons don’t even count much. When you truly want a powerhouse in a glass, you can rely on these 7 ingredients that can make a smoothie more nutritious than usual! A smoothie rich in protein is always a good one, especially if it’s made with organic whey concentrate or grass-fed whey protein isolate powder. Don’t forget that protein is the building block of every cell and tissue of our bodies, plus we also use it to generate enzymes, hormones and other body chemicals. When ingested in the necessary amounts, protein’s benefits are many. It helps build lean muscle mass, lose excessive fat, normalize blood sugar, strengthen the heart, stimulate good brain functioning, improve mood, maintain a strong bone system, and preserve your youth for longer. There’s more than 1 reason why it is wise to add microalgae in a smoothie. Spirulina is one of the most ancient lifeforms on Earth and one of the most nutritiously-complete superfoods. The algae contain more protein per gram than chicken or beef, a total of 18 amino acids, wide range of minerals and vitamins, beta-carotene, a lot of chlorophyll, DNA & RNA nucleic acids, and a pigment protein-complex called phycocyanin. There are a dozen of spirulina’s health benefits, and some of them even kick in minutes after ingestion. Spirulina boosts energy levels very quick, improves stamina, and helps prevent fatigue. The alga offers solid support for the heart, kidneys and liver, plus it is an amazing immune-stimulator. Another significant benefit of spirulina is its detox quality. It saturates the constitution with oxygen, cleanses toxins, heavy metals, and other impurities. With that in mind, it becomes inferential that spirulina is perfect for making a superfood breakfast smoothie. Picking up from spirulina, when you want to prepare a greens-rich smoothie to feel a zip rush, there are hardly any other greens that can match the nutritional capacity of kale! One of the most nutrient-dense vegetables on the planet, 68g kale guarantees you: vitamin K (684% of the RDA), vitamin A (206% of the RDA), vitamin C (134% of the RDA), manganese (26% of the RDA), as well as decent amounts of B complex vitamins and minerals. Powerful leafy greens such as kale provide other antioxidants like flavonoids that impart potent anti-cancer, anti-inflammatory, cardioprotective, anti-viral, and blood-pressure lowering properties. The closest thing to kale that can substitute it in most aspects is kalette, a cross between kale and brussels sprouts that’s a great option too if you can get your hands on some. Bottom line: the insane amounts of certain vitamins and the antioxidants in kale surely make it an ingredient that can make your smoothie more nutritious. Gojis are a favorite of many health-conscious individuals, and they add a subtle, sweetish, berry flavor to a smoothie. These small, red fruits have been cherished by many since the time of ancient China. Legend has it that Li Ching-Yuen – the world’s oldest person ever lived (allegedly aged 256), used goji berries as part of his diet. Like kale, goji too is a superb vitamin A and vitamin C source. Just a part of its nutritional profile includes all 8 essential amino acids and 10 non-essential, 4g fiber, and a total of 21 different trace minerals. Goji berry has the highest ORAC value amongst all foods (measures the antioxidant strength of a food), so its antioxidant potential is tremendous making it a must in a berry smoothie. Some of goji’s health benefits include: better skin and eye health, powerful immune-stimulator, improves cardiovascular health, stabilizes blood sugar, detoxifies the liver, boosts fertility etc. You didn’t really think coconut will be skipped here, did you? When produced via organic practices, coconut derivatives like coconut oil, water, milk, or manna, can indeed prove to be fundamental ingredients for a smoothie with a scrumptious tropical touch that most of us enjoy quite a bit. To this day, there are more than 1500 studies that associate this super food with numerous health benefits. The secret lies in coconut’s medium-chain fatty acids (MCFAs). Some of this tropical fruit’s most notable benefits include: preventing high blood pressure and heart conditions, natural relief and even treatment of Alzheimer’s, memory and brain function improvement, liver protecting qualities, curing liver infections, cancer prevention, inflammation-reducing properties, strong anti-fungal and anti-bacterial properties. So you see coconut truly deserves to be one of these 7 ingredients that can make your smoothie nutritious. Unlike Rocky, you can use smoothies to make your raw egg consumption more pleasant, plus there’s no doubt the smoothie will turn into a straight nutrient bomb! Eggs too are among the world’s most nutritious foods. A single large egg contains a wide spectrum of vitamins and minerals, some amounts of omega-3 fatty acids, 6g complete protein, choline (many people don’t get enough of it), zeaxanthin and lutein (for better eye health), and other trace nutrients. What about eggs’ cholesterol? It has been wrongly accused for many years. Actually, studies state that in 70% of people eggs don’t raise the LDL cholesterol at all. In fact, egg’s turn your small dense cholesterol (which is a dangerous LDL type) into large particle LDL that’s linked to lower heart risk. As for consumption, choose organic, pastured eggs over conventional to avoid salmonella and other contaminants. Often serving as a smoothie base, kefir is an ingredient that’s inherent to smoothie recipes that make your tummy happy. When it comes to yoghurt, kefir is the true champion of all yoghurts. Made by adding kefir “grains” (also known as Tibetan Mushrooms or Grains of the Prophet Mohammed that actually represent cultures of yeast and lactic acid bacteria) to cow’s or goat milk, kefir is brimming with beneficial nutrients. Kefir is a host of organic acids, peptides and healthy, live bacteria and yeasts called probiotics. Kefir yoghurt’s health benefits are many, but some include: bone health improvement and lower osteoporosis risk, antibacterial properties, potential anti-cancer food (by inhibiting the formation of carcinogenic matters), and of course, it can make a difference when it comes to digestive problems. Oh, and it’s tolerated well by lactose-intolerant people.